A small text I made up inventing the character of Maura , who tells about the traditions of Saint Patrick's day and what happens on that day, students read the sentences and say if they are right or wrong. The present downloadable worksheet is intended for high school students, elementary school students and adults at Elementary (A1) and Pre-intermediate (A2) level. It is excellent for enhancing your students' Reading skills. 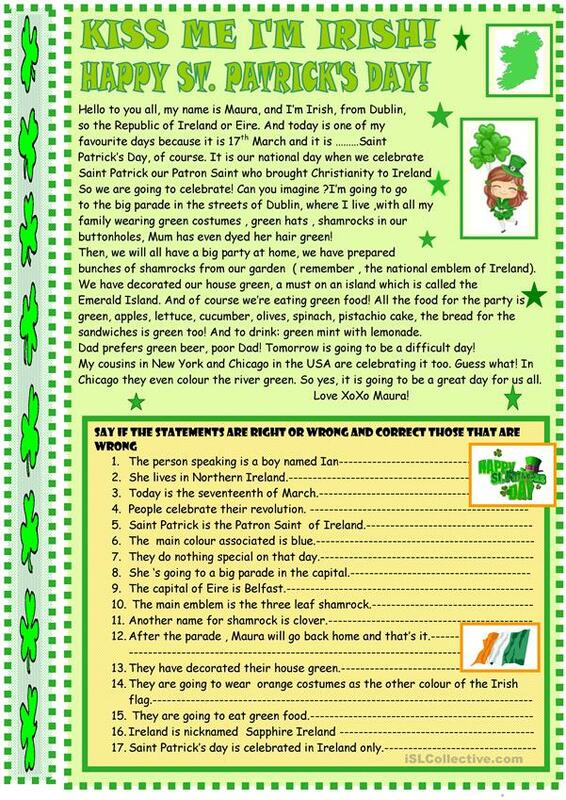 It focuses on the vocabulary topic of St.Patrick's day.